Usually it’s safest for labor to start on its own. But sometimes a health problem in the mother or the baby makes induction safer than awaiting labor. Induction of labor, like any medical procedure, has risks, but research has shown that there are ways to lower these risks. 1. Wait as long as you can. Unless there is a very clear medical reason to start an induction sooner, wait until you are at least 39 weeks pregnant before starting an induction. This lowers the likelihood that the baby will have serious breathing problems and trouble breastfeeding after birth. 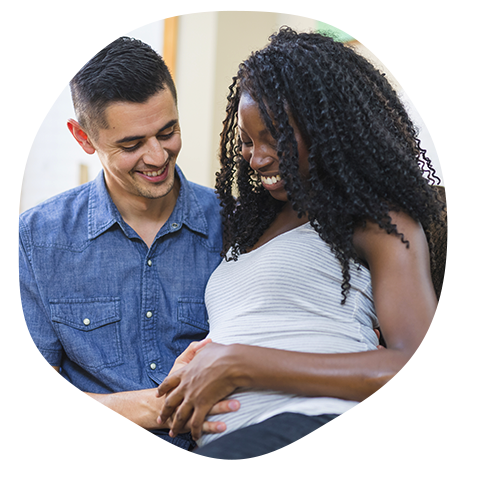 If you are facing an induction before 39 weeks, ask for a test to make sure that the baby’s lungs are mature (ready to breathe). If they are not, your provider can give medicine to help mature the baby’s lungs. 2. Wait to break the bag of waters. Ask your care provider not to break your bag of waters or to delay breaking the waters until labor is well established and progressing. Having your bag of waters intact means you can give your body plenty of time to get into labor. Problems that are related to rupture of membranes—especially infection—are more likely when the provider breaks the bag of waters before active labor begins. 3. Limit vaginal exams. Ask your care provider to limit vaginal exams once your bag of waters is broken. There is a clear relationship between length of time since rupture, the number of vaginal exams and infection. 4. Avoid internal monitoring. Ask your care provider to monitor the baby’s heart rate and the strength of your contractions externally. Continuous electronic fetal monitoring (EFM) reduces the chance that the induction will cause harm to your baby. This monitoring can be done externally, using belts that wrap around your belly. Internal monitoring requires rupture of the bag of waters, increases the chances of infection and doesn’t make induction any safer for you or your baby. 5. Use movements during labor. Move around and change positions once labor has begun. Request “telemetry monitoring,” which allows you to walk and move around, rather than being hooked up to a machine while the fetal heart rate is being monitored. Ask for water-proof monitoring equipment so you can get in a tub or shower. 6. Use comfort measures. Plan to have the full range of pain-relief options available to you. The more you are able to use movement, massage, tubs/showers and other effective pain-relief options, the less likely you are to have an epidural. If you do have an epidural, using these other methods of pain relief can help you avoid some of the problems related to getting an epidural in early labor, such as having a cesarean section or being separated from your baby after birth.